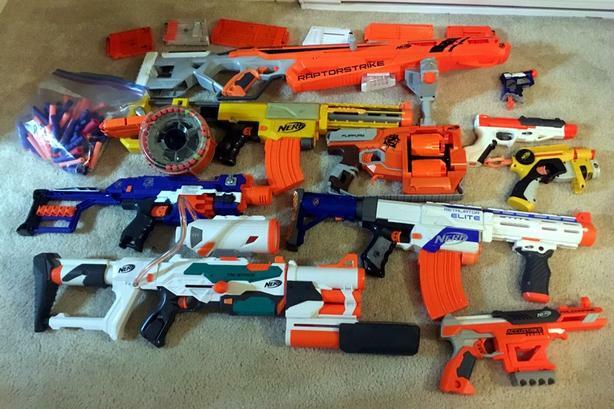 I am looking to sell all my Nerf guns as a group but will take offers on individual toys. Listed below are the names of some of the bigger ones with links to Amazon prices. $140 is a good price for all... you basically would get all the smaller ones for free! - Elite blaster creates a base to add all of the Tri-Strike components.